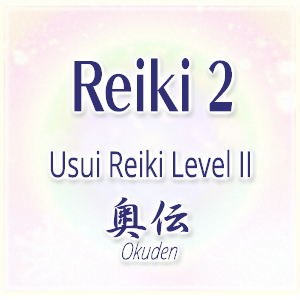 At a Reiki 2 class, you’ll receive three Reiki 2 attunements and your Reiki path becomes clearer. You’ll also receive the three Reiki symbols for more focused, effective healing on physical, mental/emotional, spiritual healing. After Reiki 2, you’ll be able to do remote, past & future healing and your own emotional & spiritual purification will be accelerated. As you were encouraged to do self-Reiki & Hatsurei-ho everyday for at least 21 days after your Reiki 1, it is the same after Reiki 2, especially with the symbols. You can do Remote Reiki to yourself, and some unresolved issues in the past and present as well. Ongoing projects, situations and environment are great to be destinations for Remote Reiki as well. If you have taken your Reiki 1 elsewhere or sometime ago, we recommend you to take the [Reiki Refresher Attunement & Lesson] to review and cover the difference before proceeding to your next class (but not a requirement).